This giant which lived inside long crusty tubes under the sea had eluded scientists for a very long time, earning the title of “Loch Ness Monster of mollusks” in a New Yorker scientific feature. Little was known of the shipworm with the scientific name Kuphus polythalamia. All modern-day scientists had were the empty skeletal pipes turning up in different parts of the world, and pre-War specimens that had turned into mush. Early scientists had established that it was descended from the wood-burrowing and wood-consuming shipworms that locals called tamilok, which live in mangrove wood and whose bodies are much softer and nowhere near the giant shipworm’s size which recorded a length of five feet. It was only when a local show known to feature strange cuisine, Kapuso Mo Jessica Soho, broke the news in 2010 of people eating a strange creature for its meaty flesh and alleged curative powers that scientists got wind of where to look.A researcher in the Marine Natural Products Laboratory (MNPL) of the UP Marine Science Institute (MSI), Jem Lapitan, saw the video on TV and reported it to Dr. Gisela Concepcion, her supervisor, head of the MNPL and UP lead person in the project studying the tamilok and their symbiont bacteria, or bacteria in symbiotic relationship with them. 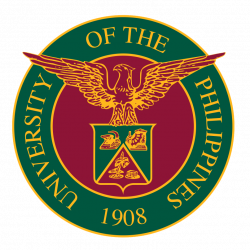 After confirming the existence of giant tamiloks in the area with research collaborators in Sultan Kudarat State University (SKSU), the UP researchers acted quickly. They braved the long flight to Sultan Kudarat, met their counterparts from SKSU led by Prof. Julie Albano, and endured a dangerous ride through risk areas to a coastal area where the giant tamilok were said to live. Leading the team on the ground, Marvin Altamia, a research associate at the UP-MSI, already knew a lot about mollusks, especially tamilok. He conducts research for the Philippine Mollusk Symbiont International Cooperative Biodiversity Group (PMS-ICBG), which is led by marine microbiologist Margo Haygood of the University of Utah, and dr. Concepcion in UPMSI, in association with top scientists in marine microbiology, natural products chemistry, biochemistry, and evolutionary biology from the University of Utah, Drexel University’s Academy of Natural Sciences-Philadelphia, and Northeastern Eastern University’s Ocean Genome Legacy (OGL). Shipworms fall under these experts’ study. A shipworm belongs to the family of bivalve mollusks. Its two shells have been reduced to two raspy teeth just before its mouth, used to gnaw at wood and burrow in it. Its body is host to several bacteria in symbiotic relationship with it. Bacteria are responsible for producing enzymes necessary to break down wood for ingestion by the shipworm. Cellulose which constitutes wood and other plant materials is quite indigestible without enzymes from bacteria. Because of their symbiont bacteria, shipworms were the bane of ship hulls which were made of wood in the old days. They earned the reputation of being the termites of the sea. Arriving at the marine lagoon in Sultan Kudarat, the researchers found it full of decaying matter, mostly forest debris from land. The sediment reeked of rotten eggs, the usual smell of hydrogen sulfide. They found the giant shipworms not growing in wood but buried in thick pitch-black muck three meters from the surface of the lagoon. It was easy to see how scientists had missed it. A giant shipworm was brought to Gisela’s laboratory, where Dan Distel of OGL and Gisela’s research staff chipped at the bigger but closed end of the calcareous tube, creating an opening to slide off the creature from the tube onto the table. The animal easily fell into notoriety as a science fiction horror creature feature. The black slimy body resembles that of a worm from hell. Its “head” is all mouth with two “beaks” for lips and its tail ends with a pair of siphons and stalk-looking “pallets”. But the researchers found that the “monster” was really immobile and could not possibly swallow creatures whole. It could hardly eat, its mouth being located awkwardly at the closed bottom of the pipe. Knowing how shipworms and clams in general thrive on symbiosis with bacteria in their bodies, Marvin knew that a lot of questions about the newly found creature would be answered by looking at its symbiont bacteria. After having seen the strange habitat of the giant shipworm and its distance from solid wood, he knew they were off to discover a new set of bacteria. Guided and assisted by Gisela and foreign collaborators, particularly Margo and Dan, who are the world’s experts on shipworms, Marvin and the MSI research team proceeded with experiments. The team took out flesh from the gills and other organs and cultured microorganisms found in the specimen. 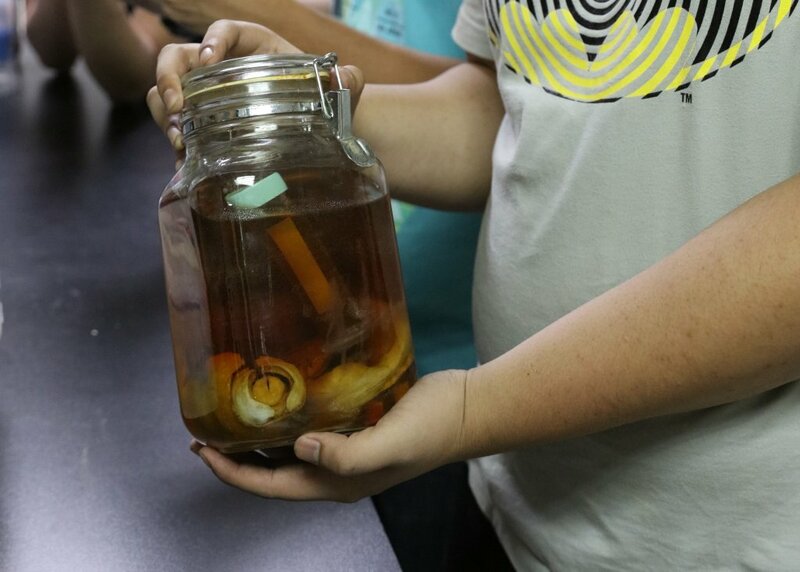 Knowing the giant shipworm’s rotten-egg-smelling home, the team used a dish with a sulfuric medium, and was able to isolate sulfur-processing bacteria. They found this to be dominant in the shipworm’s gills. The team’s hunch about the giant shipworm’s “chemoautotrophy” (or more specifically, what is known as “sulfur- or thio-autotrophy”) was spot on. The Marine Natural Products Laboratory crew of the UP Marine Science Institute headed by Dr. Gisela Concepcion (seated, middle). Shown are: (left to right, standing) MJ Cleofas, Meljune Chicote, Victor Chua, Jose Miguel Robes, Iris Bea Ramiro, Marvin Altamia, Jortan Tun, Jessa Laude, Albebson Lim, Miguel Azcuna, Noel Lacerna, Renheart De Leon, Oliver Belleza, and Melfeb Chicote; and (left to right, seated) Emma Handy, Neda Barghi, Carrissa Shipman, Dr. Concepcion, Dr. Lilibeth Salvador-Reyes, Myra Ruth Picart, Malem Flores, Irene Pamisan, and Eliza Belen. Through complicated and high-technology processes, they characterized the bacteria, and found its enzyme to be indeed a catalyst in hydrogen sulfide oxidation. The team looked at the bacteria’s genome, and amplified the genes associated with the sulfur-processing enzyme. The team had of course suspected sulfur-processing symbiont bacteria all along. And they knew that in hydrothermal vents under the sea, tubeworms and mussels are host to bacteria that utilize hydrogen sulfide being spewed from under the earth. In processing the sulfide using its enzymes, the bacteria produce energy which the host animals use to fix carbon into organic compounds, which in turn nourish the host animals. The muck in the lagoon contains broken-down, decaying pieces of wood. In later tests, the team found bacteria from the shipworm and the hydrothermal mussels arranging themselves into a cluster, a behavior exhibited only by bacteria of the same family. This confirmed his suspicions relating the creatures at the coast to those in the ocean trenches. With the findings, the PMS-ICBG proved that somehow during its evolution, the shipworm emerged from wood, and favored bacteria that process sulfur, which is abundant in the sea. Having discovered new symbionts to aid in its nourishment, the shipworm thrived in the harsh, oxygen-lacking environment of seabeds, not needing to devour food, but only growing a calcareous tube to protect its fragile body. Growing into a gigantic size, it was able to harbor more bacteria particularly in its overgrown gills, while its digestive system shrank to insignificance. This family of bacteria was harnessed by the mussels and tubeworms (which are real worms) so that they could survive in and populate the deeper part of the sea, near boiling hydrothermal vents, where no living creature was expected to survive. This discovery thus contributes to the study of evolution and to learning how life forms spread and survive between land and the deep blue sea, extending the “wooden-steps” theory. The details have been published by the prestigious Proceedings of the National Academy of Sciences in a paper by Dan Distel et al. (www.pnas.org/cgi/doi/10.1073/pnas.1620470114). But the study of the giant shipworm is also significant for the study of biofuels, which is a major component of the PMS-ICBG project. Enzymes used by cellulose-processing bacteria to break down wood to something digestible by animals for their energy needs, are prime candidates for producing biofuels out of abundant organic matter, e.g., waste materials from major crops, mostly constituted by cellulose. 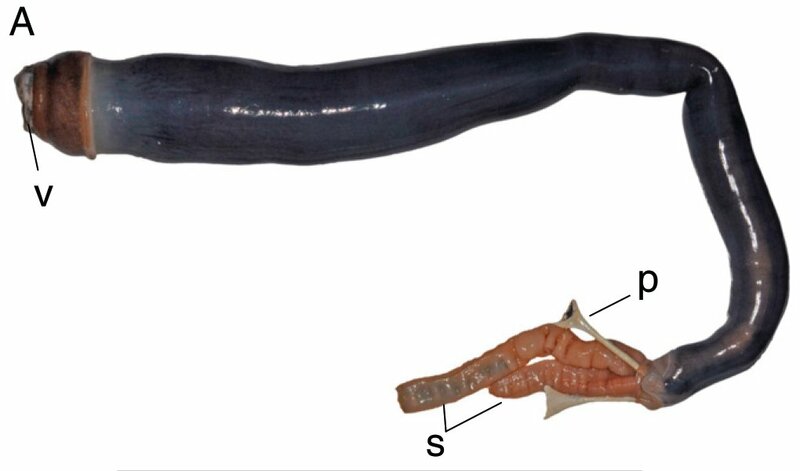 Could enzymes from the symbiont bacteria of giant shipworms, thriving on rotting matter, also be used to derive fuels? Scientists also say symbiosis with bacteria entails a balance-maintaining mechanism, which defends itself against diseases and harmful infections that may disrupt the symbiosis. Scientists are now testing bacterial isolates from marine organisms against important microbial pathogens, including drug-resistant strains, in the country to produce antibiotics. Dr. Concepcion said they have had the most “hits” or anti-infective extracts from the bacterial isolates from shipworms. Wherever the scientific investigations lead, some general conclusions stand out: bacteria are members of the ecosystem more significant than people think. Also, there are more and more ways of life being discovered from which we can learn to not only harness energy from the environment but also survive in harsh environments. The alien-looking creatures with their posse of bacteria find their way in the strangest nooks of the earth like nobody else. And a “missing link” has just been found by scientists in the Philippines.